“It being the intention of our Gracious Queen to treat her new Vassals of this island with the same affection and love that she treats those of her other Dominions, If the inhabitants of this island behave and bear themselves as good and loyal vassals. And this will serve to notify everybody that if any person of whatever quality they may be, works on the hearts and minds of the inhabitants of this island so that they become enemies of the Queen our Royal Mistress (may God keep her). They will be exiled for ever—to return under pain of death.”. Richard Kane had to deal with an abject lack of finance. His letters to the governor the Duke of Argyll who was now back in England indicate this as one of his greatest worries.. The troops were not being paid and it was impossible to pay for their sustenance upfront as the suppliers required. He and many of his more senior officers were subsidising the British army in Menorca from their own pockets. He introduced several taxes on goods and a toll on merchants entering or leaving the towns to sell their wares. (the toll house at the boundary of Mahón and Es Castell was only demolished some 20 years ago). Richard Kane was absent from Menorca on only two occasions during his 24 years as governor. Once to return to England to plead for necessary finance and answer trumped up charges made against him by the aforementioned authorities in Mallorca. Secondly he was ordered by King George 1 to Gibraltar to organise the strengthening of defences and to direct the operations building the naval base there. At these absences, leaving the island under the control of his appointed deputy, the commander of the Fortress of St Felipe. Richard Kane organised many improvements to the lives of the people of Menorca too numerous to mention, such as giving all local children the opportunity to attend the English schools. Es Mercadal was noted for its poor quality water supply with many of the population suffering from disease. One of his greatest legacies still to be seen today is his decree to build a huge water cistern (Aljibe) in that town, to enable everyone to have good clean water. Built in 1535/36 this was one of his last major works to be carried out in his lifetime. This was in continuous use until 1990 when a piped mains supply was installed in the town. Towards the end of his career Richard Kane was always anxious of a surprise attack by the French on Menorca and kept reminding the British government of the urgent need to strengthen the fortress of St Felipe. The man Kane had to report to was the 1st Duke of Newcastle, the British Secretary of State. 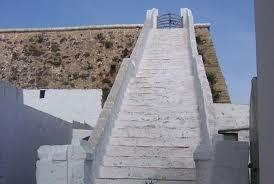 who if he had acted on Kane´s advice then, perhaps, Menorca would not have been taken by the French in 1756. 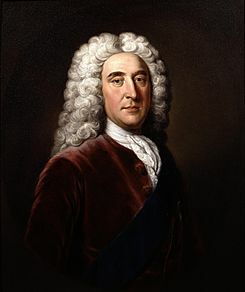 According to historian Harry Dickinson ---The Duke of Newcastle was notorious for his fussiness and fretfulness, his petty jealousies, his reluctance to accept responsibility for his actions, and his inability to pursue any political objective to his own satisfaction or to the nations profit.... Many modern historians have depicted him as the epitome of unredeemed mediocrity and as a veritable buffoon when in office. Having served as Lt. Governor under a series of absentee Governors, James Stanhope--John Campbell, Duke of Argyll--Charles Mordaunt-- George Carpenter—George Lord Forbes, it was not until 1733 that Richard Kane, by now a Brigadier-General, was, finally, given full Governor status by King George 11. During 1735 it was apparent that Richard Kane´s health was declining and he was becoming frail. He was then 73 years of age. 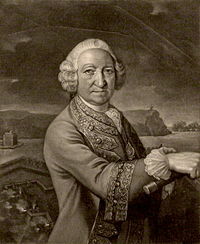 He eventually died (still a single man) in the December of 1736 having devoted nearly 25 of the best years of his life to the betterment of the population of Menorca. He was laid to rest under the chapel of the fortress of St Felipe but because of later destruction to the fort his grave site has not been found. The funeral was organised by the Jurats (elected councillors) of Mahón in consultation with those of Ciutadella. With no previous experience in arranging such an event they had to, apparently, take the advice of some “very old people” who remembered the laying to rest of the last Spanish Governor of Menorca. “accompanied by company of infantry with their drums draped in mourning, muted and making a very sad sound. Behind the body walked the Jurats, both of the Royal Government and the Universidades, (town Councils) and the jurats carry the insignia of mourning. When the body emerged from the Governors Palace (on c/Isabel 11) six cannons fired. Three captains walked on each side of the coffin as far as the grave. On reaching the tomb the Alfares waved the flag three times over the coffin: and after that all the people filed past to offer the Governors family their condolences: which is all we have to tell Your Magnificences. And you may be sure that we feel deeply the death of Governor Kane, because of all the good he wished for this island and its inhabitants” . The next 20 years leading to the French invasion of 1756 at the start of the Seven Years War. During these years it seems that under successive governors in name only, most back in Great Britain—Algernon Seymour, Earl of Hertford---John Dalrympie, 2nd Earl of Stair--- and James O´Hara, 2nd Earl of Tyrawley, Menorca was basically forgotten and left to potter along. With Britain engaged in various battles with the French around the World, the Duke of Newcastle and the British Government took their eyes off the ball and left Menorca under financed and with a badly reduced garrison of troops in total numbering just 2,800 men. If only the advice given 20 years earlier by Richard Kane had been listened to by the Duke of Newcastle? 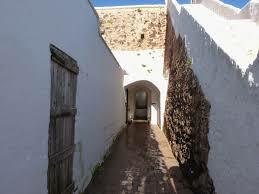 It is thought by many historians that France didn´t really want Menorca. (Although this would seem odd in as much as it was Britain´s ”Jewel in the Crown“ in the Mediterranean). However the French did want to invade the British Isles across the Channel and it is believed that they sent a large fleet to Menorca to cause a diversion and draw the Home fleet out of Channel waters. This did not work but had a devastating result on the British colony of Menorca. The French invasion fleet was under the command of the Duke de Richelieu who landed some 15.000 troops at Ciutadella which advanced across the island almost unimpeded to take up positions surrounding the fortress of St Felipe. Meanwhile most of his ships sailed to blockade the entrance to the harbour of Mahón. The French reduced the large Talayot at Trebaluger to about a third of its height to make the command post for the Duke de Richelieu and gun emplacement similarly the Talayot at Trepuco. Many of the ancient dry stone walls were also demolished in order to get the gun carriages into position. 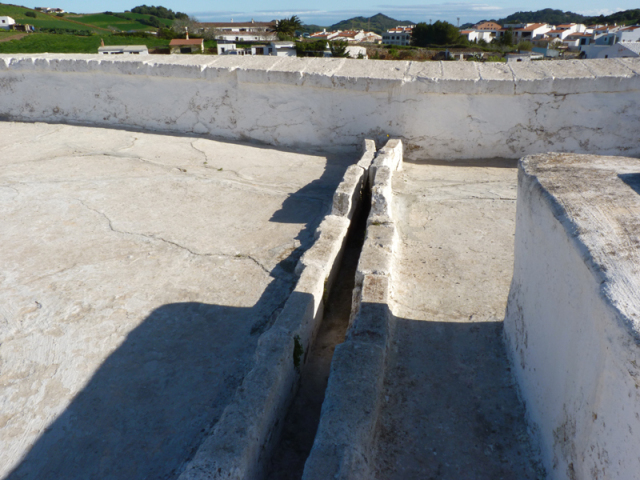 The 2.800 British, holed up in the Fortress of St Felipe were well stocked with dry food and water was available from the well. Unfortunately during the continuous bombardment by the French artillery the vegetable gardens were destroyed leaving the garrison without fresh green vegetables. Also the Arraval or small village which had, over years, been built under the ramparts of St Felipe made it impossible for the British to bear their artillery in the direction north for fear of hitting their own people. 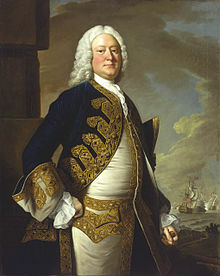 The Duke of Newcastle, still Secretary of State, in his bumbling manner, ordered a fleet to sail from Gibraltar under the command of Admiral John Byng to relieve the garrison. This was rapidly assembled but was wholly inadequate in numbers of ships and troops for the job. On 19 May, Byng was off the east coast of Minorca and endeavoured to open communications with the fort however the French squadron appeared before he could land any soldiers. The sea battle was fought on the following day. Byng had gained the advantage of the wind and bore down on the French fleet at an angle His leading ships went into action but the rest were still out of effective firing range, including Byng's flagship. The French badly mauled the leading ships and then quietly sailed away. Byng's Flag Captain pointed out to him that, by standing out of his line, he could bring the centre of the enemy to closer action, but this Byng declined. Neither side lost a ship in the engagement, and casualties were roughly even, with 43 British sailors killed and 168 wounded, against French losses of 38 killed and 175 wounded. 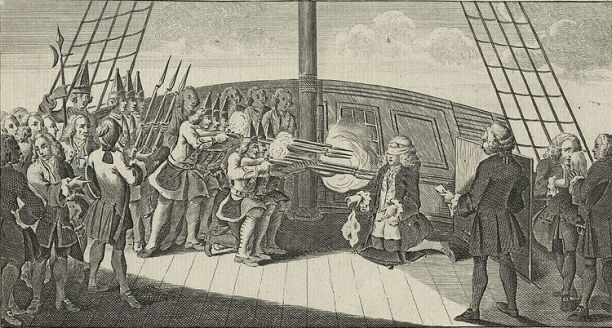 Byng remained near Menorca for four days without establishing communication with the fort or sighting the French fleet. On 24 May, he called a council of his captains where he suggested that Minorca was effectively lost and that the best course would be to return to Gibraltar to repair the fleet. His Captains agreed and the fleet set sail for Gibraltar, arriving on 19 June, where they were reinforced with four more ships of the line and a 50-gun frigate. Repairs were effected to the damaged vessels and additional water and provisions were loaded aboard.. However, before his fleet could return to sea, another ship arrived from England with further instructions, relieving Byng of his command and ordering him to return home. On arrival in England he was placed under arrest. Byng was courts marshalled on the charge of Cowardice in the line of duty. He was found guilty and although many pleaded to the King for clemency on his behalf he was ordered to be executed. He was confined in custody on board HMS Monarch in the Solent and on the 14 March 1757, taken to the quarterdeck for execution in the presence of all hands and men from other ships of the fleet in boats surrounding Monarch. The admiral knelt on a cushion and signified his readiness by dropping his handkerchief, whereupon a squad of marines shot John Byng dead. Many have since said that he was a scapegoat for the inadequacies of the Duke of Newcastle who should have been executed instead. But then-----as Voltaire in his novel Candide says "in this country, it is good to kill an admiral from time to time, in order to encourage the others"
The British commander William Blakeney showed great courage and leadership during the almost 12 weeks of siege. But with a gradually reducing numbers of troops due to casualties and illness caused by lack of fresh vegetables, altogether about 400 dead, wounded or infirm, Blakeney decided to surrender the garrison rather than lose more “good people” Blackeney and Richelieu agreed terms of the surrender in the gentlemanly way of the era. It was agreed that the soldiers could march out with their banners flying, drums beating and pipers piping. They were allowed to carry their weapons and 6 cartridges each and help their wounded comrades and be followed by the civilians, wives and children who had also been sheltering underground in the fortress. They were all to be put onto ships paid for by the British government and taken back to Great Britain. This is what apparently happened but it is written that when they emerged from the fortress in that shuffling order the French were lining the sides of Cami dén Kane from St Felipe to Mahón and that they were in tears when they saw the state that the brave British were in as they filed past them led by William Blakeney staring straight ahead. Erect as an example to those behind him! And there we end the first period of British rule on Menorca. Chapter 5 will follow.